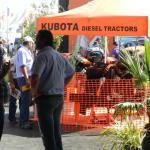 ENGINES – Kubota are world leaders in designing and selling Diesel engines up to 100hp. 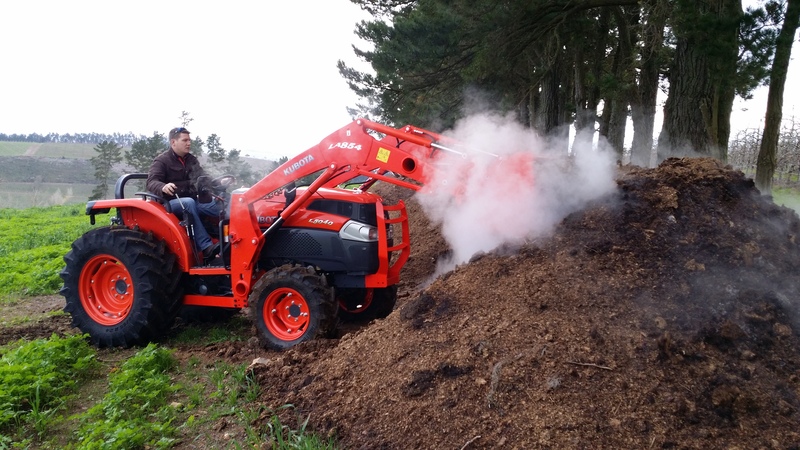 The 3.3 and 3.8 lt., 4-cylinder turbo-charged engines fitted in Kubota tractor ranges meet all the requirements of emission legislation around the world. 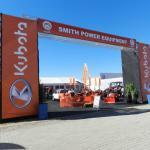 Kubota are recognised cutting-edge leaders in this field and ensure exceptional power output together with long life fuel- efficient, smooth and quiet operation. 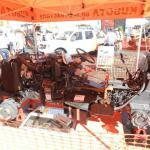 FRONT AXLE – heavy duty high clearance design with dual crown wheels driven by bevel gears. Not using any type of universal joint, the drive shaft is also without joints and completely protected by the split sump. BRAKING – very smooth and effective braking action is achieved in 2 or 4-wheel drives through wet-brake disc packs in the differential system. 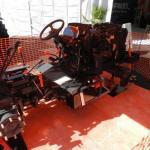 The hand brake features a pedal latch and conventional lever system. 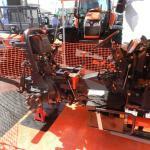 GEARBOX – the centrally mounted gear lever selects gears through two heavy-duty cables connected to the side of the gearbox. The lever only selects forward movement because reversing is done with the shuttle lever. P T O SYSTEM – the small operating lever is just under the steering column and is completely independent of the gear system. The separate multi disc wet clutch pack is unusually free of any snatching action due to the flow control of the operating pressure and the overrun braking system. 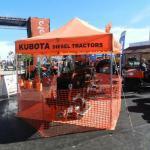 This is an important feature for operating sprayers and mowers etc. A retro fit 540e PTO kit is also available as an option where necessary. 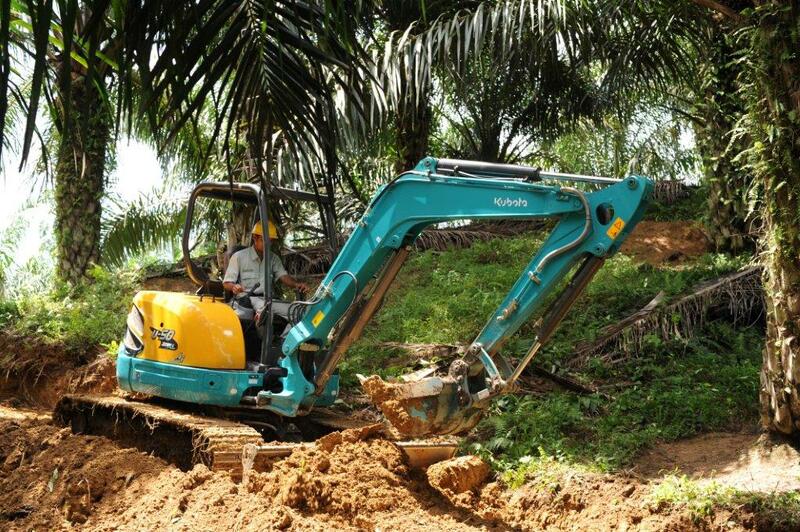 HYDRAULIC SYSTEM – unlike most tractors, the dual pumps are mounted on the side of the gearbox together with dual screw-on filters. 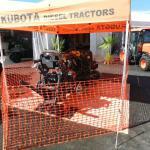 The gearbox casing holds over 50 litres of Kubota high-spec hydraulic oil, which operates the steering system. 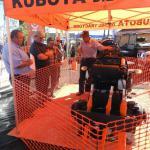 All moving parts are instantly lubricated under pressure, which promotes exceptional longevity. SERVICING – all rotating power train components operate in sealed oil baths, reducing the traditional areas of wear and tear considerably. OPERATOR SAFETY AND COMFORT – Kubota design and manufacture their own cabins and fit them in a variety of configurations. The air-conditioning and heating systems are state-of-the-art and the internal sound level is 84db with the door closed. The air cleaning system accommodates external and internally recycled and filtered air with numerous adjustable air ducts. The whole cab is exceptionally free from vibrations being mounted on 4 large rubber pods. 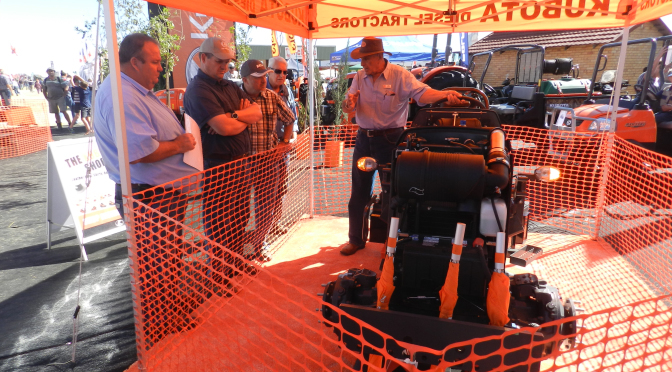 NEW COOLING DEVELOPMENT – after extensive research and testing all Kubota products sold in SA will shortly be filled with the Evans waterless coolant. This product not only raises the boiling point to 190degrees and freezing down to-40, but it also eliminates corrosion and liner pitting. 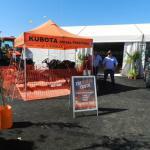 Heath says that that seeing how the “inner” tractor works encouraged many potential customers at NAMPO to actually drive a Kubota tractor. 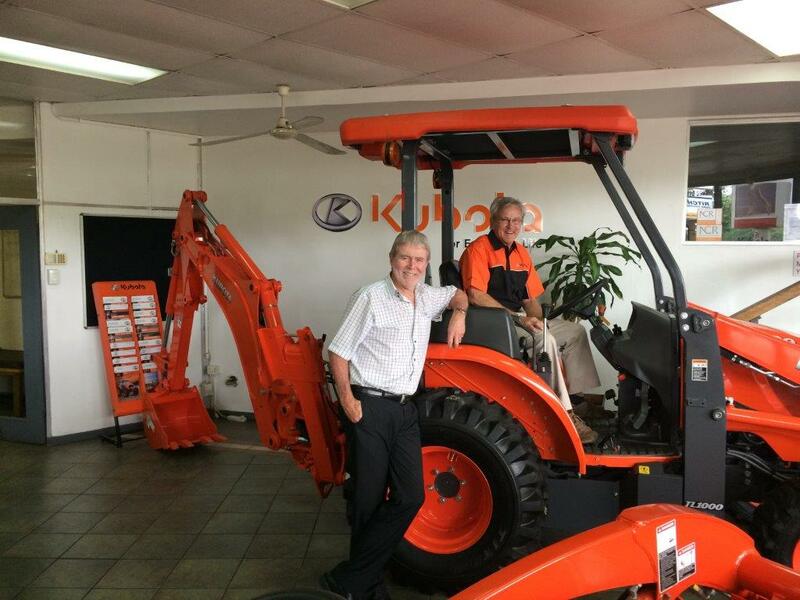 “This is what we wanted as only after actually operating a Kubota can one appreciate the ease of operation and the effectiveness of a Kubota,” he concluded.